The Maroon Bells, surrounded by pristine National Forest lands, are the most photographed peaks in all of North America. Download free directions, maps, GPS and photo advice for this location by selecting the Maps and Directions tab above. If you’re a nature lover and wondering what you want to see in Colorado, I highly recommend visiting these peaks. I consider them to be the most spectacular mountain peaks in the whole United States. So, if you’re looking for the directions there, here they are: from Glenwood Springs, take Hwy. 82 south towards Aspen. (It takes just over one hour to reach the Maroon Bells from Glenwood Springs.) As you approach Aspen, you will see the Aspen airport on your right. Keep following the road and cross the bridge over Maroon Creek. Just beyond Maroon Creek, you’ll reach a roundabout. Enter it carefully and follow the sign for Maroon Creek road. If you see the church tower, you’ll know you’re going the right direction. From here, just keep following the road until you reach the pay station. After that, just follow the road until it ends at the parking lot. 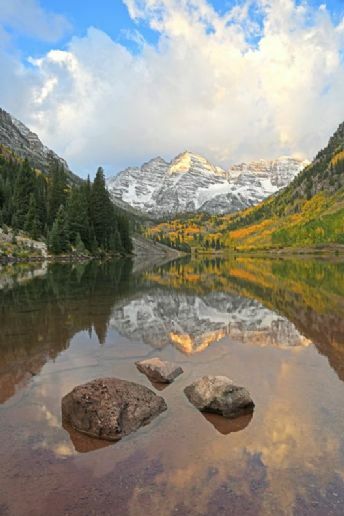 In 2014, it costs $10.00 to see the Maroon Bells. And by the way, the road that goes there is now open. In 2011, our mountains received a lot of snow, especially in the spring. So when we visited the Maroon Bells on May 31, 2011, the picture on your right is what we saw. It was beautiful to see them this way in person :-). 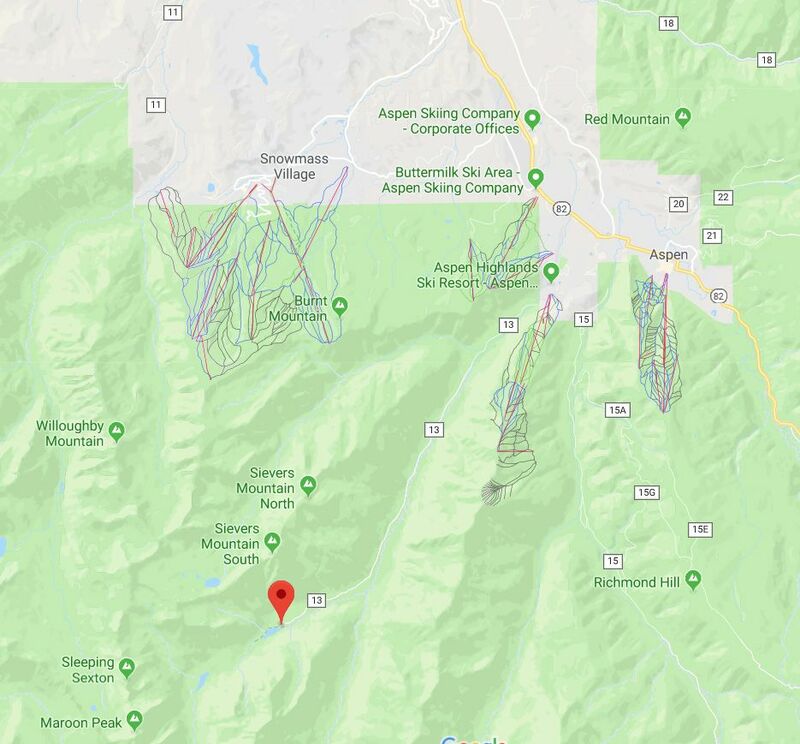 Anyway, you will only be able to drive to the Maroon Bells between 7:00-9:00 a.m. and between 5:00-7:00 p.m., and you'll have to pay the fee during those times. Between 9:00 a.m. and 5:00 p.m., you'll have to take the bus, which includes a fee that varies, depending on age. The last time we visited the Maroon Bells for fall colors, many of the trees had changed, but others were still green. Even so, it made for a nice contrast, so we still had a good day there. Then we drove Independence Pass on our way home, where we saw plenty more fall color. All in all, it was a great day. Best time to photograph is sunrise to early a.m. during October 6th to the 14th. found under the Maps and Resource tab located in the black bar at the top of the screen. Workshops and guided tours can be booked by clicking the workshop tab located in the black bar at the top of the screen. Photograph Info: Nikon D850 24-70mm Lens @ 24mm f16@ 1/3 second ISO 64 Exposure Value -0.7 9/24/17 7:12 a.m.